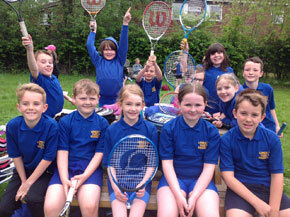 Lower Park School was successful in the Poynton, Disley and Adlington tennis competition held at Poynton Sports Centre. Despite stiff competition from the other schools, Lower Park secured a narrow win, and were jubilant in lifting the trophy for the winning Year 3/4 team and Year 5/6 team. Teachers Jackie Gallagher and Alison Ralph commended the pupils on their sporting behaviour and encouraging attitude towards fellow teammates. Year 5/6 team back row: Emily, Stephanie, Kiran, Arthur, Mac, James, Dan and Ben. Front row: Lorna, Naledi, Grace and Sophie. Lower Park School Year 3/4 tennis team back row: Thomas, Pippa, Louie, Gwyneth, Hattie, Hannah and Jack. Front row: Ewan, Joseph, Emily, Katie and Joe. On Thursday 30th June we took a large group of year 3/4 children to our local area orienteering competition. 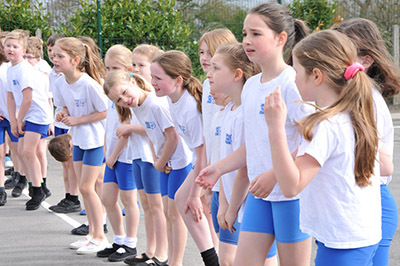 The event was held at Macclesfield Athletics track and the children followed a map to certain points around the track as well as going onto the fields of Fallibroome Academy. The event was extremely technical with the children using electronic dibbers. They all had a fantastic time, worked well as a team and many of them wanted to have another go! I am happy to announce that one of our boys teams came third place over all, Finlay P, Charlie H and Kyle L.
Our year 5/6 boys football team played their first match on Tuesday 29th November, against Hazel Grove Primary School. I was very impressed with how they played, with both defenders and attackers playing a strong game. The team played very well together and the score was 2-1 to Hazel Grove. A huge well done to the boys who played and especially to Archie K for scoring the goal. I look forward to watching them progress in the many games to come. Our school is collecting Sainsbury's Active kids vouchers! We are pleased to inform you that our school will be collecting the Sainsbury's Active Kids vouchers again this year. The vouchers can be collected whenever you do your shopping at Sainsbury's from now up until the 30th June. These vouchers have been very helpful in the past for providing our school with new sports and cooking equipment which benefit our children hugely. We would be very grateful if you could collect these vouchers when in Sainsbury's and hand them in to the school office or ask your child to place them in the box outside Mr Coulson's office. WOW! What an exciting, pacey tournament! 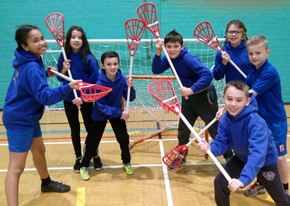 Some of our year 5/6 children took part in a lacrosse tournament on Thursday 26th January. The children played fantastically and we scored some cracking goals! The school came in 5th place over all and the children enjoyed every minute of the experience. Well done to Mackenzie D, Thomas I, Louie L, Finlay P, Oliver K, Jenny H, Grace P and Naledi R.
On Sunday 12th March Tom I, Louie L and Jack G were 3 of the 4 players who played for Poynton Sports Club’s mini orange tennis team against Widnes in the Winter League semifinal. The boys played really well and won the match which means they have qualified for the County Finals against David Lloyd. Well done to those boys! We look forward to hearing how they get on. On Thursday 27th April, our football squads played against Pownall Green. The matches were excellent and, as the final scores suggest, the games were very close. 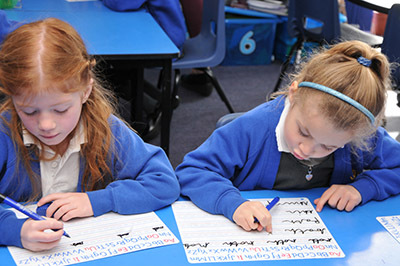 On Tuesday 25th April, some of our Year 5 and 6 children took part in a competition at Tytherington High School. They competed extremely well and came third overall and returned to school with a medal. On Wednesday 26th April, some children from Year 3 and 4 took part in a gymnastics competition at Wilmslow. The team did exceptionally well and Max T won an individual gold medal. The children who took part in the successful competition were: Emily W, Jessica G, Mia N, Anna P, Max T, Hollie A, Holly J, Rebecca B, Lorna C, Lois M and Samuel D.
On Tuesday 2nd May, our football teams played against Moorfield Junior School and showed real character in their matches. Team work and sportsmanship were key elements of the day, helping both teams return to winning ways. Our goal scorers were: Alfie W (3 – hat-trick), Ewan L (1), Charlie H (1) and Adam H (2). There were also some excellent saves by our goal keepers, Dylan W and Louie L. Well done to all our players. The school’s A and B teams played matches against Nevill Road Junior School on Tuesday 16th May 2017. As ever, the effort and sportsmanship of the children were excellent. The A team lost 4-1 after leading with a magnificent first half goal by Will Seales and two magnificent saves by our goalkeeper, Dylan W. The B team won for the second successive week 7 - 2, with Ewan L scoring 4, Alfie 2 and Charlie H 1. Finley G also stepped in at the last minute as the goal-keeper. Well done boys! Twenty of our children represented the school at a cross country event at Moorfield Primary School yesterday. All the children raced well in hot conditions and worked well in their teams. There were around 70 children in each race. A special mention goes to Harry P & Archie K who both finished in the top 5 in their respective races, well done to them and all the children who took part. 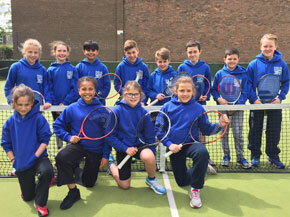 During the week, (15th - 19th May) teams from Year 3 /4 and 5/6 took part in tournaments organised by our tennis coach, Mike Atherfold at Poynton. Again, our children played very well and in the right spirit. The Y3/4 children all represented the school really well with one team, Pippa B, Joseph P, Joseph H and Jenna M playing really well to finish 6th out of 13. The other team, Jack G, Harry P, Kamran M & Molly S, also played magnificently and came second, they will proceed to the next round of the competition. Very well done to those girls & boys! 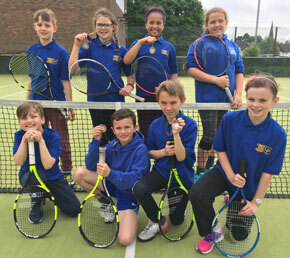 The Y5/6 children who played at Poynton Tennis Club on 19th May were: Naledi R, Grace P, Louie L and Thomas I who all played brilliantly and came second in the tournament. Our other team; Sophie R, Gwyneth J, Alex S, & Christian B also played really well and reached the quarter finals. All the children represented the school excellently, they showed good supportive team work and were a pleasure to take. Tennis Tournaments – the Final Prospect! On 15th June 2017, our Year 3 / 4 tennis team played in the final of the area tennis tournament. They competed so well and came second, winning for themselves a silver medal. The children in the team that played so well were; Jack G, Kamran M, Harriett P and Molly S. Well done! On 29th June, 24 children from years 3, 4, 5 & 6 took part in an orienteering completion at Fallibroome High school. They competed in teams of boys and girls battling through the mud and rain. The children were fantastic representatives of the school. They had high spirits throughout despite the conditions. One of the teams comprising Matthew G, Alfie W & Ben M won Gold and brought home the trophy. Well done to those boys and all the children who took part. On 12th July our school teams played against Vernon school away. The A team lost 4-1 but put in a sterling performance in the heat. Archie K scored Lower Park’s only goal. The B team worked tirelessly and won 6-0, led by captain Finley G scoring a hat trick, alongside Ewan L scoring 2 and Charlie H who scored 1. A special mention goes to Will B and Alex W who were stoic in defence leaving very little for keeper Louie L to do! 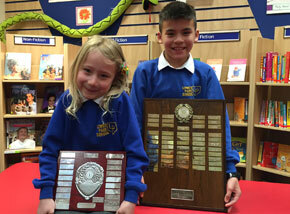 Caroline Corlett trophy was given to Leah in Year 2 and Max in Year 6 received the Chris Hammond award. The pupils at Lower Park School were delighted to celebrate the Queen’s birthday. They marked the special day by abandoning normal lessons in favour of learning more about our longest reigning monarch. In the morning, the children learnt and sang the National anthem, investigated the heritage of the Royal family, drew and made Union flags and created timelines of the Queen’s life. In the afternoon, the school hall was royally decorated for all the children to enjoy a massive celebratory tea party, with cakes, juice and sweets. A day to remember indeed. 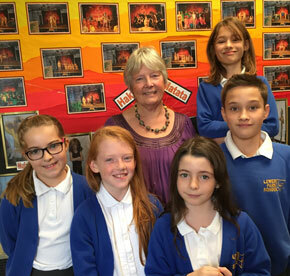 Children at Lower Park School have once again, come to the aid of their partner school, St James’ School in Uganda. As part of their Harvest Festival, the children in Key Stage Two focused upon what harvest means in different places around the world. Having fostered a relationship between Lower Park and St James’ School in Kamuli, Gerry Hambridge was invited along to tell them a little more about the way Ugandan children harvest rice up to their waist in paddy fields. She also explained that their partner school was suffering after a tree demolished the toilet block during a storm. Knowing the plight of the African school, the children were encouraged to create a money trail from the school hall to their own toilets. The children were so excited placing their offerings along the corridors which stretched the full length of the school and back again! At the end, the children were able to hand over £317 from the coin trail, £102 from Lois, Holly and Daisy who organised a huge raffle at school, £49 from Tom and Bethany who persuaded their parents to empty their ‘spare change’ pots and £62 from the Year 6 Committee Cake Sale. Altogether the children raised a staggering £530. The children were transported around the world on Tuesday during their Google Expedition. 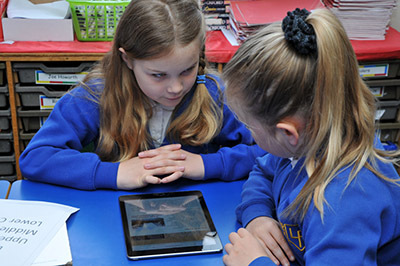 Using clever technology, the children were able to see the wonderful sites in the world; the Great Barrier Reef, the Pyramids, the Great Wall of China etc. The ‘OOHS and AAHHs’ that came from the hall continued all morning as the project really fired their imagination. It is a simple and accessible technology linked to Google Earth 360 and photographs of some of the children using the special view finders will be seen on the website soon.